Smack dab in the heart of New York City's Lower East Side, this urbane 2 bedroom apartment is the perfect crash pad for this Montrealer's summer internship. 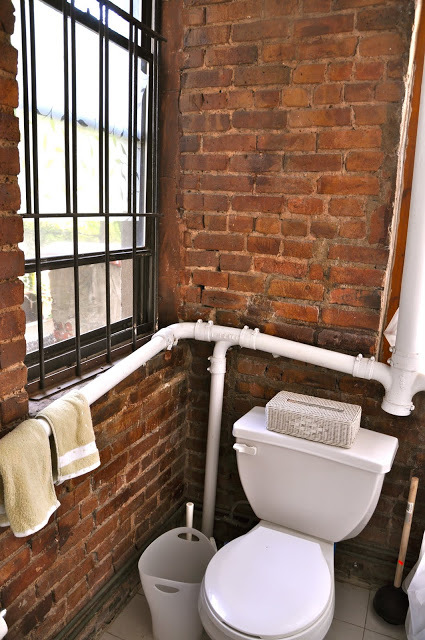 With charming exposed brick walls and a cozy lofted bed, New York has never seemed so down-to-earth. Though a 6 story hike to the expansive rooftop, the unobstructed Manhattan skyline is ideal for sunset sangria. All we can say is we're jealous.